To commemorate the 200th Anniversary of the Town of Perth, Kelly's Flowers is now offering handmade milk chocolate bars adorned with beautiful photographs of signature Perth monuments. 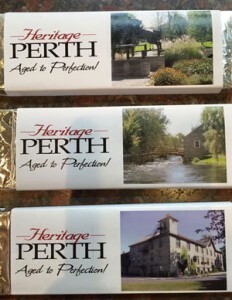 These handmade chocolate bars are crafted in Ancaster Ontario by a professional chocolatier. Stop by the store to try one today! !